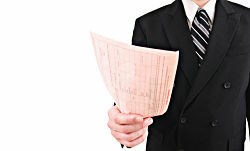 Your Employers' Termination Attack What Should Be You Response? This is the sixth installment in our "Learn What To Do If The Employer Is Setting You Up For Termination" series. 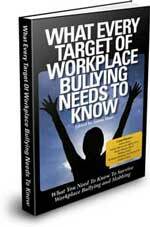 In the last installment I revealed ways for the employee targeted for termination to gain a "strategic advantage". 3) Identifying the employers "weak links"
Let's say you've applied all the strategies in the previous five articles in this series. By now your boss is angry, upset, frustrated, embarrassed, obsessed and also afraid. Why? Because he/she or they have thrown everything including the kitchen sink, refrigerator and stove at you to no avail. You're still standing and you are more importantly still employed! This is exactly the scenario that happened to me. Co-workers, vendors, people in other departments, friends and family were amazed that I still had a job. Here's what you can't put a price on, because I successfully defended my employee rights others were encouraged to do the same. In my opinion every job seeker and employee must obtain a firm grasp of these three fundamental weapons of employee rights defense. Those that do will not only be a step ahead of their bosses termination tricks but miles ahead. In my unscientific research over the years I estimate that at least 90% of all businesses and organizations expect employee rights illiteracy in their workforces. Based on my experience I would estimate that basic employee rights literacy among job seekers and employees is less than 5%. I believe that's why most employers are comfortably aggressive in violating the rights of their employees. Against the backdrop of "At Will" employment doctrine employers assume they are empowered while the employee more or less assumes he or she is powerless. That said let's look at the first element of "How To React To Your Boss's Moves And Plan of Attack". When the employers' illusion of invincibility is successfully challenged they will tend to ratchet up a laundry list of employment attack weapons. Thing like harassment, unjust job evaluations, bullying, discrimination and more. This of course only strengthens the position of the employee being targeted who's followed the steps to protect his/her rights. Your boss ignores your legitimate complaint(s). You inform your supervisor, HR or owner of of a valid violation of your workplace rights and the response is...nothing. Or, the script is flipped and say you must make a greater effort to "get along" with management. Even after everything that's occurred to this point in the Termination Series you'd be amazed at the percentage of employers that still don't or refuse to get it. Your boss "turns up the harassment and intimidation faucet". The intent of constructive discharge happens when an employee is forced to quit because the employer has made working conditions unbearable. Unbearable conditions include discrimination or harassment, or receiving a negative change in pay or work or work schedule for reasons that are not work-related. An example could be your normal work schedule of 8am-5pm gets changed to 4am-1pm for no justifiable business reason. The supervisor slowly but surely increases the micro-management, criticism of your work product, bullying, negative evaluations, "phantom" complaints about you from co-workers and more. This strategy is of course designed to force you to quit, thus constructive discharge. Now, I've talked a little about this before. I remember saying "Wow I wish I'd known about this advantage 12 years ago!". What advantage am I talking about? It's called Workers' Compensation Law". The overwhelming majority of employees have no clue that workers comp may be used as an advantage against harassment and discrimination by their employers! Many employees including myself have suffered from depression, health issues, lack of sleep, anxiety and more as targets for termination. You could qualify for workers compensation for some illnesses and diseases which are the gradual result of negative work conditions. 2) The ability to prove the harassment was the sole cause for your stress or illness. If those requirements are met, in most states the employer must pay for medical care and any drugs prescribed by your doctor. As always consult with a qualified workers' comp attorney about the extent of your rights. This workers' compensation advantage also offers the employee further protection from retaliatory termination. C. Identifying the employers "weak links"
When it comes to "seeing" the holes in your bosses termination attack you must take some time to learn how he/she does business. For example, have a friend or family member call the (BBB) Better Business Bureau in your area or go online and look for any and all complaints filed against the employer. Have someone call your state Human Rights Commission and EEOC office and inquire about any past or current lawsuits against your employer, especially those similar to yours. Again, any legitimate violation of your rights always report it to your employer. This keeps them "honest" since they know you mean business about protecting your job. It continues to build a solid wall of defense for your position and makes it harder for your employer to retaliate against you. Finally, make documentation your second nature. I know it can be tedious, annoying and inconvenient at times. But when the employers plan of attack begins it is the lifeblood to defending your employee rights. 7th Installment: "How To know When Your Employer Is Closing In For The Kill"
Along with this "Employers plan Of Attack" page, my new sites provides the MOST current changes affecting career seekers and employees. Also, inside tips and tricks from real world situations.